Uber announced on Tuesday that it will launch its Jump by Uber electric scooter service in Madrid. “Uber is choosing Madrid for the first European launch of Jump by Uber, its electric scooter service. Users in the capital have a new transport alternative to move around the city,” the company said in a statement. The new service will bring 566 scooters to Madrid, which can be reserved through the app, and using them will cost EUR 1.12/minute. Besides Uber, 21 other companies got a permit for scooter rentals in Madrid, but the municipality said that it doesn’t want the number of scooters to exceed 10,000. 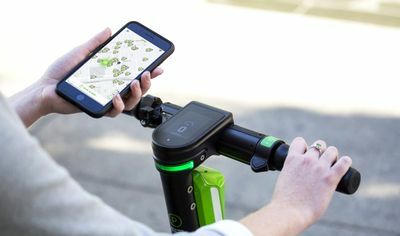 On the other hand, Barcelona has totally banned self-service electric scooter rentals due to overwhelming tourist numbers, while Paris introduced a fine for using them on sidewalks.